Our research objective focused on examining the instructional efficiency of tutoring as a form of instructional change as opposed to a non-tutoring approach in an outreach laboratory. We designed our laboratory based on cognitive load (CL) theory. Altogether, 269 twelfth-graders participated in our day-long module Genetic Fingerprinting. In a quasi-experimental design, the control group (n = 121) followed the non-tutoring approach previously used, while the treatment group (n = 148) followed the newly developed tutoring approach. Each tutor was in charge of two student work groups and recorded the tutoring activities requested by the tutees throughout the day. We measured the students’ invested mental effort (as an index of CL), cognitive achievement (in a pre-post-follow-up design), and the students’ cooperation in their work groups as well as calculated the student instructional involvement (as a motivational variable). Additionally, we examined which aspects of the hands-on phases were of particular relevance to the students’ invested mental effort. Unexpectedly, the combined mental effort and cognitive achievement data indicated that our implemented tutoring approach resulted in a lower instructional efficiency despite the relevance of tutoring for students’ mental effort invested during the experimental phases. Most of the tutor assistance was unnecessarily requested for performing the procedural steps and using the equipment. Our results indicate an assistance dilemma and consequently underscore the necessity for effective tutor preparation in outreach laboratories. We are thankful to the teachers and students involved in this study for their cooperation. Additionally, we are thankful for the supportive comments of two anonymous reviewers. The study was funded by the Bavarian State Ministry of the Environment, Public Health and Consumer Protection; the Oberfranken Foundation; and the German National Science Foundation (DFG BO 944/4-5). American Society of Human Genetics (2011). Genetics education outreach network (GEON ). http://www.ashg.org/education/k12_geon.shtml. Access 11 July 2012. Bavarian Ministry of Education (2011). Education in Bavaria. http://www.km.bayern.de/education-in-bavaria.html. Access 11 July 2012. Glowinski, I. (2007). Schülerlabore im Themenbereich Molekularbiologie als Interesse fördernde Lernumgebungen. [Outreach laboratories in molecular biology as learning settings furthering interest]. Doctoral Thesis, Christian Albrecht University Kiel, Germany. http://eldiss.uni-kiel.de/macau/receive/dissertation_diss_2564. Access 11 July 2012. Pawek, C. (2009). Schülerlabore als interessefördernde außerschulische Lernumgebungen für Schülerinnen und Schüler aus der Mittel- und Oberstufe. [Outreach laboratories as learning settings furthering interest of secondary school students] Doctoral Thesis, Christian Albrecht University Kiel, Germany. http://www.dlr.de/schoollab/Portaldata/24/Resources/dokumente/Diss_Pawek.pdf. Access 11 July 2012. Scharfenberg, F.-J., & Bogner, F. X. (2011b). Teaching gene technology in an outreach lab: students' assigned cognitive load clusters and the clusters' relationships to learner characteristics, laboratory variables, and cognitive achievement. 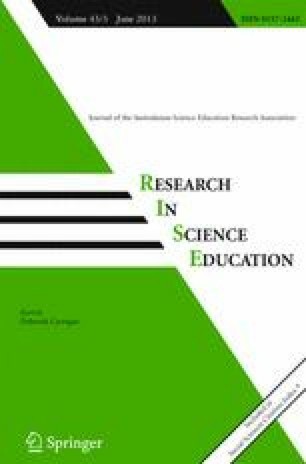 Research in Science Education. doi: 10.1007/s11165-011-9251-4.